The BEST addictive Bible word search game, for FREE! Come and enjoy FREE & ADDICTIVE Bible word finder game! Incredible combination of Bible and FREE word search puzzles. 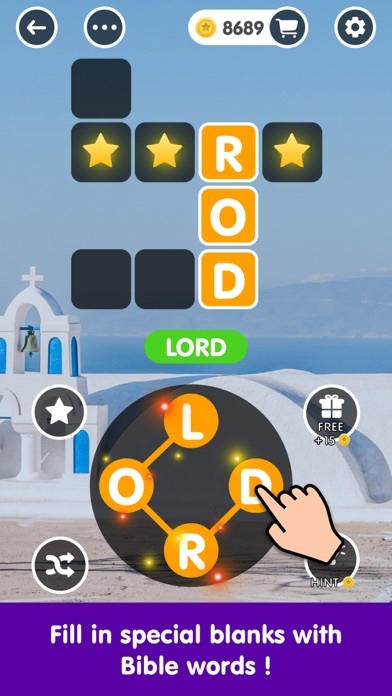 Do you want to approach God in daily entertaining word search game? Bible Crossword Puzzles combines Bible word search and crossword, providing you with a great chance to review the Bible in addictive crossword puzzles with friends, totally for FREE! 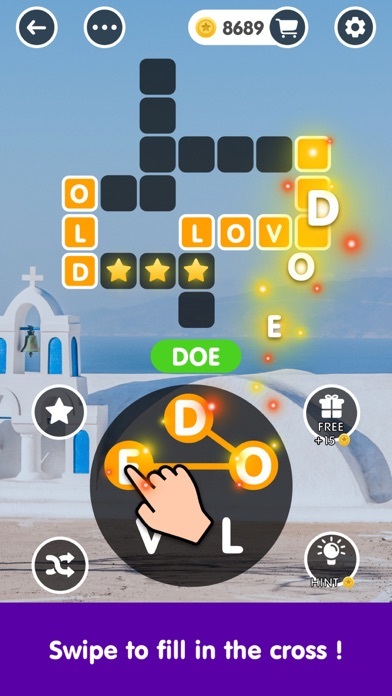 With thousands of various puzzles, this brand new game is the best word scramble game for you to get familiar with the Bible verse while solving challenging crosswords. Simply swipe to link the given letters and find all the Bible words hidden in the blanks. You will never experience a dull time in this incredible word game! 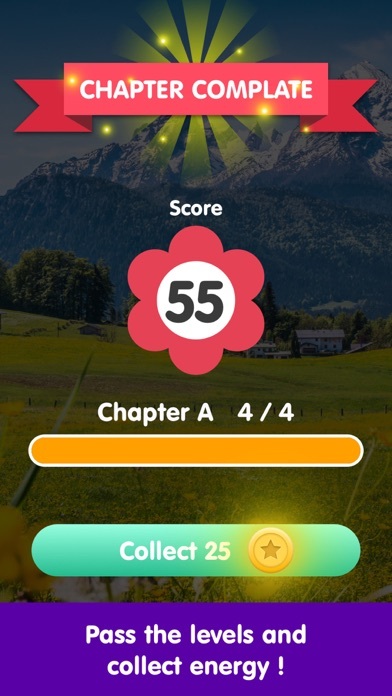 Are you ready to take the challenge and train your brain? HOW TO PLAY —Swipe and connect the given letters to make a complete word —Find Bible words to fill in the blanks with special mark —Tap “Shuffle” or “Hints” bottoms when you get stuck in word connection —Tap “Ask Friends” to invite more friends to join you FEATURES —Typical crossword game in combination with Bible-related words —More than 3,000 puzzles with increasing difficulties —Discover all the hidden extra words to prove your vocabulary —Natural pictures and relaxing music entirely calm you down —No time limit, take your time! —No wifi requirement, enjoy finding word anytime, anywhere! —Suitable for both kids and adults This is the best word search game that you should never miss. 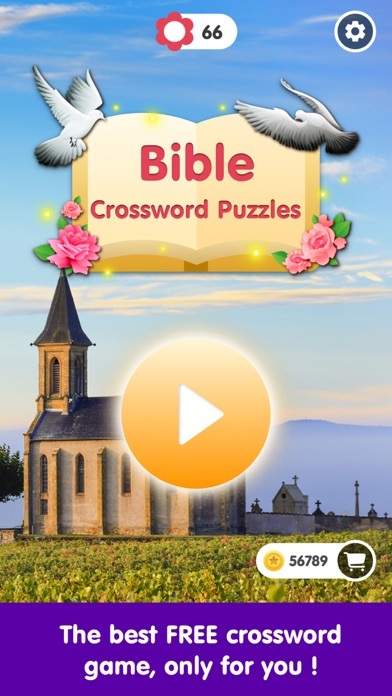 DOWNLOAD now and begin your journey in FREE & ADDICTIVE Bible Crossword Puzzles! There are words here that’s not even in the Bible. Not even in the dictionary! 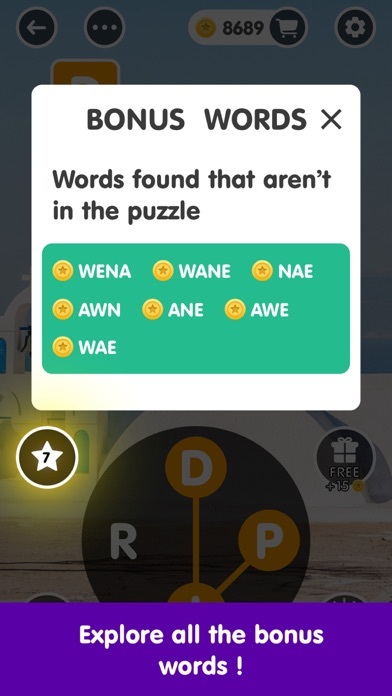 They don’t have a lot of Bible names or words in this cross puzzle. I will give it a five star when they get a lot more by the words in it. It is a good game and I personally do enjoy it. I would just like to see a lot more of the Bible words in it. I love this spelling game. Easy to play yet challenging just enough to keep me playing. The background and music helps me relive my stress yet the spelling part works my brain. 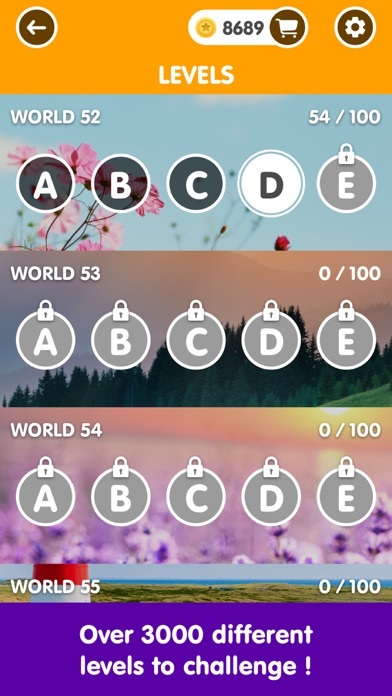 Wonderful word puzzles game! Love it!